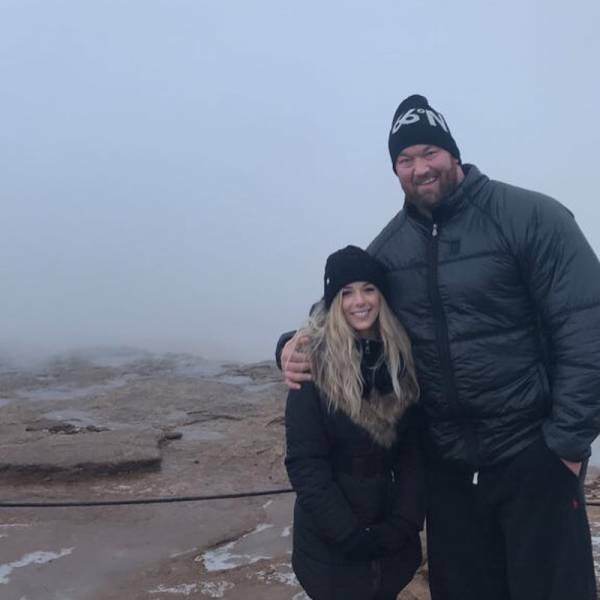 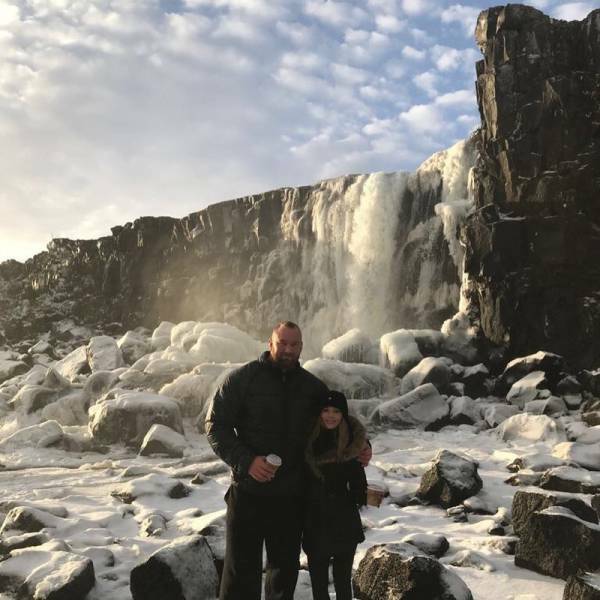 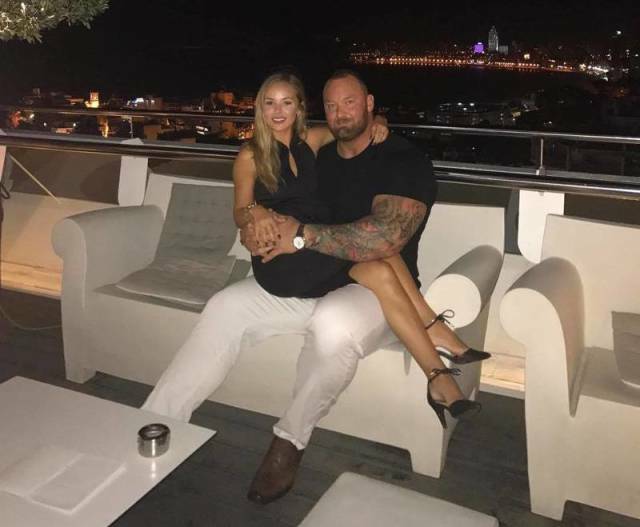 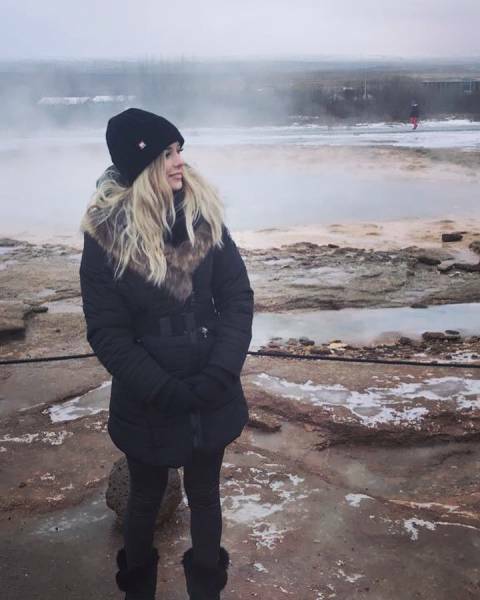 Powerlifter and actor Hafþór Júlíus Björnsson, also known as The Mountain is dating Canadian student Kelsey Henson, who is almost 50 cm lower than the giant is. 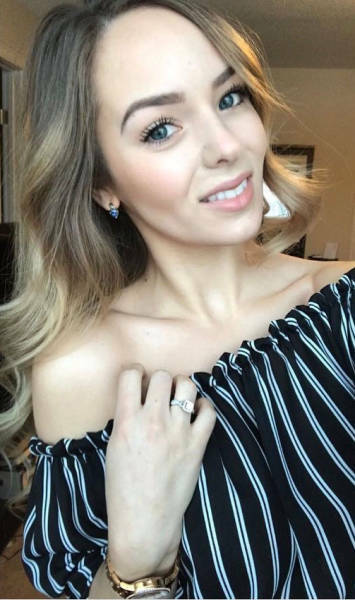 Hot girl! 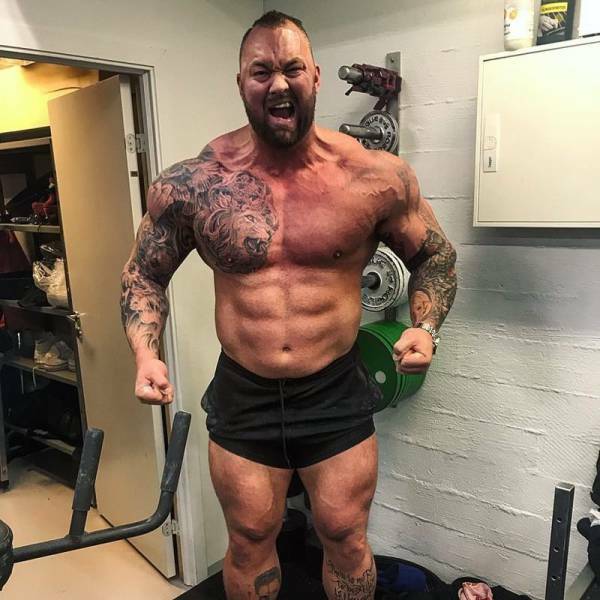 But "who is almost twice smaller than him"? 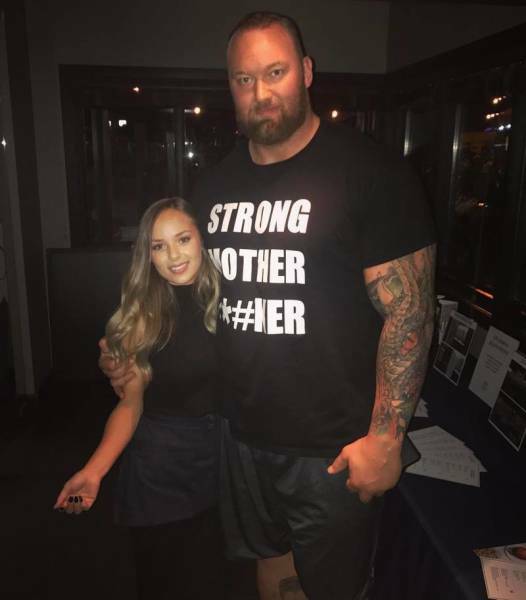 How about "who is almost half his size"?